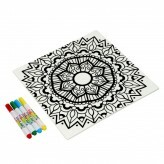 Our Just Add Colour Collection of ceramics features attractive black and white designs like this "mandala" version that you can colour in yourself using the four brightly coloured pens provided. 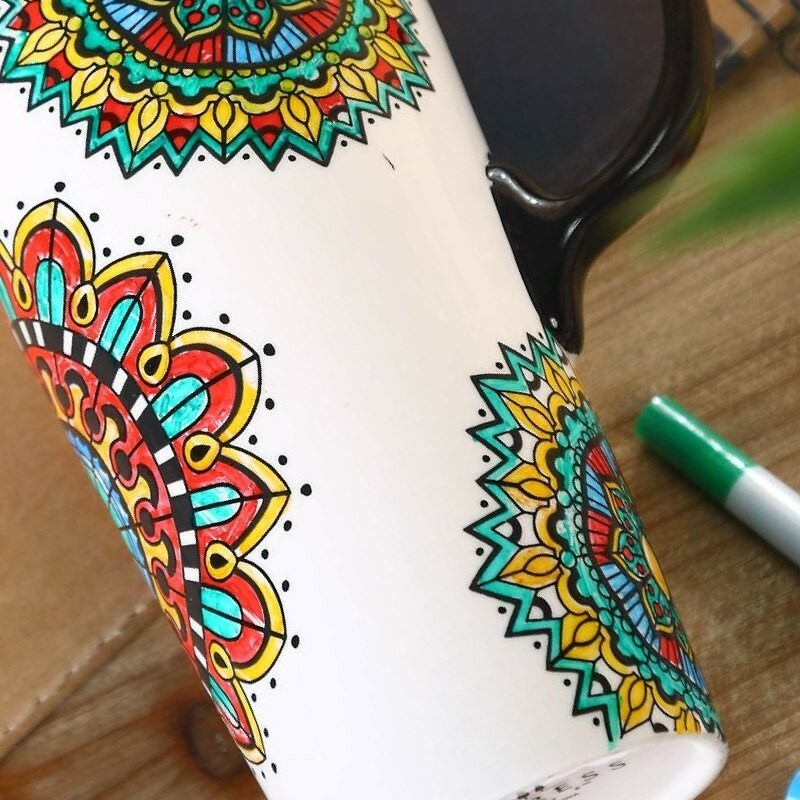 The collection, which includes a Trivet and 3 designs of Travel Mug, is inspired by the popular colouring-in craze: a wonderful way to express yourself. This Travel Mug would make a great gift. Fix the colour by simply heating it in your oven. Instructions: Once you have finished colouring, place the product into a cold oven, turn the oven to 220°C/ 200°C Fan /425°F and bake for 45 minutes. Let the product cool completely before removing. We recommend you hand wash this product once it is coloured and baked. 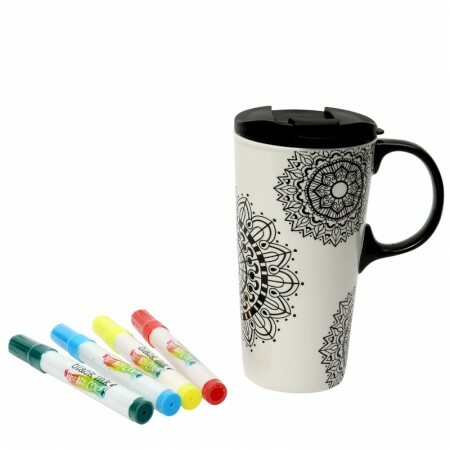 The mug is microwave and oven safe, and comes gift boxed supplied with a set of four food safe markers. The colouring-in craze has hit Dexam. 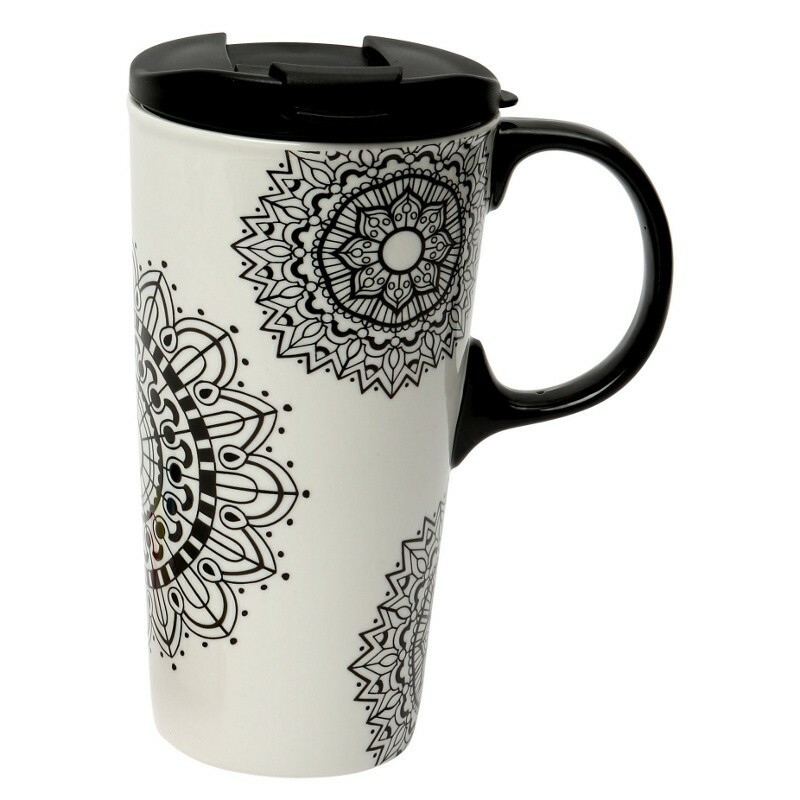 This ceramic travel mug with a mandala pattern can be customised making it unique to you. Mandala theme version - Just colour the areas you want. Supplied with 4 coloured pens which become permanent when baked. Complete with travel lid with hinged spout lid.